Relevance Rap1 is a telomeric protein. Rap1 contributes to both telomere length regulation and telomere silencing. 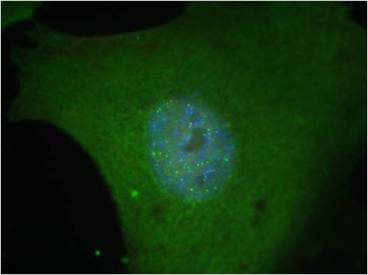 Positive Control HeLa cell and mouse testis extracts. Bombarde et al. 2010. EMBO J. 29(9):1573-84. PMID: 20407424. TRF2/RAP1 and DNA-PK mediate a double protection against joining at telomeric ends.